Morrelle heads up Business Development for RAM-Tech PC Solutions, a professional computing solutions company based in the McDonough, Georgia area. Through dedication to a business-driven approach and a compilation of skilled consultants, creative web designers, and technical support staff that knows how to get results, he has grown the company with a reputation for satisfying clients. 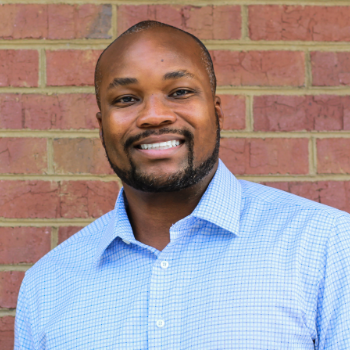 Morrelle began his career in IT leadership at FirstBank and as a network engineer at Dixon Hughes PLLC. He knows firsthand the day-to-day demands of technology and the importance of keeping systems running optimally at all times. Now Morrelle applies his skills to developing relational value with his clients as well as diagnosing and resolving network and other IT issues. 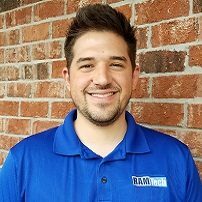 He passes results on to the RAM-Tech client, bringing the personal attention needed to create real-world results. Morrelle is very active in his community. He has been an active member of the Henry County Chamber of Commerce for 6 years, including the Vice Chair for Economic & Cultural Development for the past 3 years. Morrelle has a passion for serving the local community and knows the importance of outreach and carries the vision of making a positive impact in the community. That is why for the past 6 years he has been the Chairman of the Board of Directors for Crosswalk USA, a non-profit organization committed to helping at-risk youth. 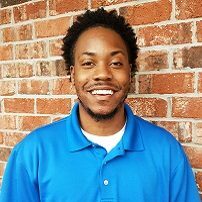 Camron Leatherwood is the Support Manager for the entire Help Desk at RAM-Tech PC Solutions in McDonough, GA. Camron has worked nine years as a Systems Administrator and attended college at GA Perimeter College. Through his education and willingness to learn all things technical, he specialized in troubleshooting and finding the root cause of all IT-related issues. Camron was promoted to Support Manager early 2015 and now oversees the productivity of his team as well as teaching them everything he knows. In his downtime, when Camron is not providing technical support or mentoring he takes in all Atlanta sports. He enjoys spending time with his wife Kasey and their daughters. Oh, and they still have their dog Tank to keep them company, just hide your coasters (Tank likes to eat them)! Micheal has been working in the IT field since 2007 but has loved anything related to technology since his grandfather purchased his Tandy 1000 HX in the late 1980’s. 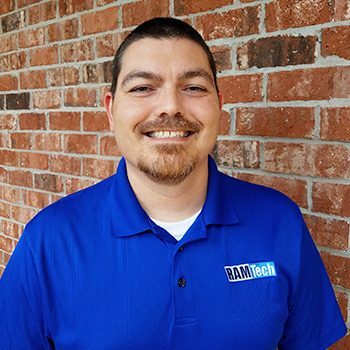 Micheal has worked for two financial institutions holding the titles of IT Specialist and Information Technology Manager before joining RAM-Tech PCS in 2012. Micheal's responsibilities include quotations, technical presentations, demonstrations and network testing for customers; proof-of-concept testing to validate customer requirements, network designs and network deployments; evaluating performance, scaling, security and interoperability testing; design guidelines recommending improvements to customers; provide feedback to product management, engineering and other technical teams and ownership of issues and questions. In his spare time Micheal enjoys playing video games and watching NASCAR. We often call Micheal "Uncle Si", because he always has some Southern Georgia sweet tea in his hand. He lives in McDonough with his wife and 2 children. 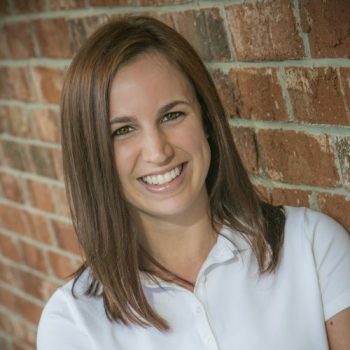 Nicole Williams (Nikki) is a hard working self starter who has a proven ability to pick up the phone, identify potential key clients, build relationships and close new business opportunities. Nikki is a well-organized individual who is willing to take full responsibility for issues such as; managing accounts, customer service and revenue generation. She is persistent in her drive for improvement and has an impressive track record of bringing in new business. She currently oversees the management of over 200 corporate accounts. Familiar with relationship building, she is able to maintain a good team spirit and liaise effectively with Healthcare Partners, Legal Partners and Financial Partners. When Nikki isn't at work with a bunch of IT guys she enjoys time with her husband Travis and their two children. Nikki is a food nut and loves cupcakes and chocolate dipped pretzels. If you look in her desk drawer behind the files you can find many of her favorite snacks! LaCoster Tennant is a young, ambitious, and motivated individual that can work in a team environment. Information Technology has always been a passion for LaCoster, and he continues to show that passion through the hard work and dedication he displays daily. He continues to grow in his skill and reach all goals that are set-in front of him. LaCoster attended a non-profit organization by the name of “Year Up”, where he established a great amount of knowledge and I.T. skills. He graduated from the program a year later, and began his career at Southern Company. While working in a corporate environment LaCoster expanded on his skills and continued to use his critical thinking methods, and display a motivated attitude through his work. When LaCoster is not giving an excellent computing experience with his clients, he loves hanging out with friends and watching sports. LaCoster also enjoys producing music, exercising, shopping, and working on his car. 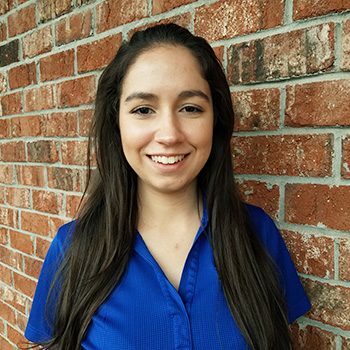 Kassie is an IT Support Specialist for RAM-Tech PC Solutions in McDonough, Ga. She is responsible for running diagnostics, completing software installations and hardware setups, providing remote support, and delivering a great customer experience. Kassie graduated from Georgia Tech and Clayton State Universities earning Bachelors’ degrees in Computer Engineering and Computer Science. She comes with 4 years of customer service experience from working retail while attending school. When she is not glued to a computer, she enjoys sketching, sculpting, and spending time with her family. Toju is currently an intern at Ram-Tech PC Solutions. Toju is responsible for diagnosing and resolving issues with various computers including laptops and desktops. Toju also installs and preps hardware and software, ensuring it is ready to go by the time the customer comes to pick it up. In his free time, Toju likes to hang out with his younger brother and watch movies or play video games. 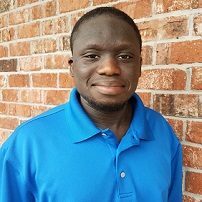 Toju is currently attending Clayton State University to get his bachelor's degree in computer science.